The archbishop of the Sebastian Greek Orthodox Church, Atallah Hanna, addressed crowds in the town of al-Ezzariya (Lazarus) on Saturday, condemning the Israeli restrictions on Easter celebrations, and calling on Christians around the world to pray and to voice their support for their Christian brethren in Palestine. The speech by Archbishop Hanna followed a press conference this past Tuesday in which leaders from a variety of churches called on Israel to cease its restrictions of Christian religious commemorations of the Easter holiday. Thousands of Christians from both Latin and Orthodox traditions have flocked to Jerusalem in pilgrimage for the celebration of Easter. The pilgrims hail from all over the world, including Russia, Greece, Romania, Cyprus, Serbia and Bulgaria. The Latin sects of Christianity, which include Catholics and Protestants, are celebrating Easter on Sunday April 5th, while Orthodox Christians are commemorating Palm Sunday on April 5th, and a Holy Week of ceremonies that culminates with Easter on Sunday April 12th. Archbishop Hanna called on Israeli authorities to cease their relentless and ongoing attacks on Palestinian Christians — referring specifically to an attack by Israeli soldiers on the Palm Sunday ceremonies in Beit Jala, near Bethlehem, this past Sunday. This year the Orthodox Holy Week of Easter coincides with the week-long Jewish commemoration of Passover. During Passover, Israeli troops shut down large parts of the Palestinian Territories for security purposes, and close checkpoints for extended periods of time as they commemorate the Jewish holiday. This causes extreme difficulty for Palestinians in the West Bank, who must cross through the Israeli-controlled checkpoints for work, school and medical treatment. 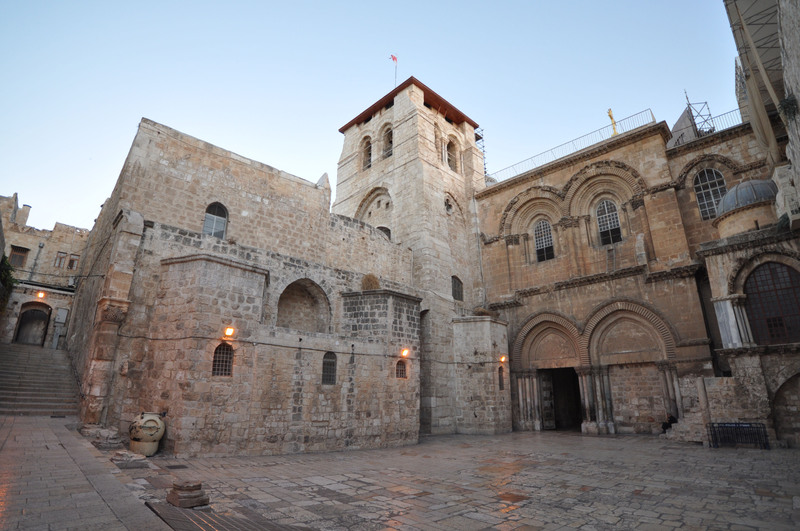 This year, as in past years, Israeli troops have set up checkpoints at Christian holy sites in Jerusalem, both at the Gates and in the alley, thus preventing the worshipers from free access to the Via Dolorosa, the Church of the Holy Sepulcher, and the vicinity of the Christian Quarter.